Some apps & themes will not be updated for while due to my laptop's motherboard burning out (as the files for those things are on there). Follow Jlong Mkt Place on Social Media for updates! Welcome To Jlong Market Place! 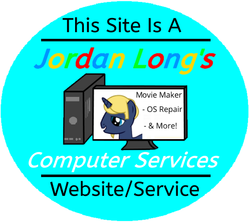 Jlong Market Place Will Replace Jlong Software Site & Jordan Play Android Apps! Right Now This Site Is Under Work, It Will Be Up And Running Soon! So Check Back Soon! *9/19/2015 NOTICE - As said with above notice, I am working on updating this website including other sites of mine. Some Of My Software & Apps! View all the cute (and sometimes funny) pictures of my family's pets on your Android device!. You can have HTTYD Toothless running around your Windows desktop!